The resolution provides a broad outline of programs to address climate change and economic inequality. While the plan covers a range of topics, a key goal that has received substantial attention is achieving net-zero greenhouse gas emissions. Energy experts Christopher Greig and Yueh-Lin (Lynn) Loo comment on the resolution and its implications for climate progress. Christopher Greig is the director of the Dow Centre for Sustainable Engineering Innovation at the University of Queensland (UQ) in Brisbane, Australia. He also founded and serves as the inaugural director of the UQ Energy Initiative. Greig is a chemical engineer with over 30 years of experience in resources and energy industries and is the Gerhard R. Andlinger Visiting Fellow in Energy and Environment at the Andlinger Center for Energy and the Environment. Yueh-Lin (Lynn) Loo is the director of the Andlinger Center for Energy and the Environment at Princeton University. She is the Theodora D. ’78 and William H. Walton III ’74 Professor in Engineering and professor of chemical and biological engineering. Loo is also a co-founder of Andluca Technologies, a company that is developing self-powered smart windows that promise to increase building energy efficiency and occupant comfort. Q: What is the significance of this resolution in terms of momentum and advancing climate action? Greig: The Green New Deal (GND) has placed climate action firmly in the spotlight in the United States. That is certainly a good thing! It seems to have become a unifying force for activists and the political left, and has attracted plenty of media attention. In reality, GND is big on ambition and light on substance. It appears that it wasn’t taken seriously by the political right or industry. I think the climate challenge is such a colossal one that we need a call to action that can unify a broader support base. Loo: Since the 2016 presidential election, our country has moved away from the promises of the Clean Power Plan and has signalled our withdrawal from the Paris Accord. I hope this resolution marks a turning point away from the existing discourse and puts the climate challenge squarely back in the foreground of our national attention. Given how our everyday lives are influenced by the way our country’s collective beliefs and values translate into laws and international agreements, this potential movement toward greater support for climate action is a highly welcome relief. Q. What do you think of the net-zero greenhouse gas emissions goal? Do you think the sectors identified (built environment, electricity, transportation, agriculture) are the right ones to achieve that goal? Greig: I fully support a goal of net-zero emissions and the sectors targeted by the resolution. The issue for me is not the end goal, but the timing – GND advocates for action that keeps global average temperatures below 1.5oC above pre-industrialized levels, and net-zero global emissions, by 2050. This will require a massive, capital-intensive and extraordinarily rapid transformation of industrial systems along with sustained political commitment and behavior change. Much more sophisticated analysis and diplomacy are required to translate that ambition into actionable plans and policies for different countries and sectors. Loo: Global net-zero greenhouse gas (GHG) emissions is the end goal. Only with net-zero emissions will we stabilize global warming. That said, we are unlikely to get there in a straight line, nor will we get there in the next decade. Our immediate goal should thus be to reduce carbon emissions as much as we can, and as fast as we can. The energy sources for producing power in the US are still predominantly based on fossil fuels (>70%). This is why understanding the pace and the steps that need to be taken to transition our global energy infrastructure from one that is dominated by fossil fuels – which took more than a century to build and which was once hailed as innovative for its time – to a net-zero GHG economy is so important. To date, little consideration has been given to the unprecedented scale and pace of technological, industrial, political, economic, and social change that is required for this transition. The Andlinger Center for Energy and the Environment is leading a multi-institutional and multi-national project called Rapid Switch to precisely tackle this challenge. Rapid Switch will identify bottlenecks and unintended consequences that may arise, and lay out pathways to resolve these impediments sector-by-sector, and region-by-region. A prelude to Rapid Switch is a US-focused initiative called the infrastructure build project that aims to estimate the total cost of achieving net-zero carbon emissions for the US by 2050. This project will particularly scope out several different low-carbon infrastructure scenarios that each employ current technologies, and seek to offset any residual carbon emissions with negative emissions technologies. This is a big undertaking, and both of these initiatives will help contextualize the actions that are required for the most viable and rapid transitions to decarbonization. Q. What are sticking points for you that make you feel strongly about the resolution in one way or another? Greig: At the highest level, the resolution presents an ambitious shopping list of ideas to: protect communities from the impact of climate change; modernize the United States energy and broader economic sectors with more sustainable, efficient, zero-carbon infrastructure and equipment; restore damaged ecosystems; and increase R&D spending on clean technologies; while growing prosperity and eliminating poverty. What’s not to like about that? However, there are no robust analyses or actionable plans included to support the ambition. GND advocates for 100% renewable energy and zero-emissions sources, but there is no evidence that such an energy system can also meet societal expectations for service reliability or affordability. GND fails to recognize the immense amount of capital, resources and human capacity that will be necessary to deliver such a massive, rapid transformation and the potential for GND to constrain the capacity to provide other essential goods and services. GND fails to recognize that targets like net-zero emissions before 2050 must go hand in hand with changes in behavior and lifestyles, which will also require public support and incentives. GND makes no mention of important options like carbon capture and storage. And though not explicitly excluding nuclear energy, the resolution should have either explicitly excluded it, or included nuclear energy along with the necessary investment in R&D, capacity building and advocacy necessary to restore the industry to its former eminence. Loo: The resolution is strong in expressing beliefs and aspirations of many in our country but it is vulnerable to criticisms of unrealistic economic, technological and social assumptions. The resolution attempts to address more than climate change, which makes it all the more prone to a host of criticisms. In terms of reducing carbon emissions in the power sector, focusing on the expansion of renewables, which often refer to solar and wind only, is short-sighted. Diversifying our energy portfolio to include nuclear, large-scale hydro, geothermal and even natural gas in combination with carbon capture and storage, is needed to manage costs and maintain security, reliability and resiliency. Q. There has been some discussion as to what resilient power grids and a low-emission electricity system could actually look like. What pieces would you include if you were creating legislation on this? Are there technological stipulations that you would include? Greig: As a former executive, I think about resilience in terms of the ability to cope with unexpected change and recover from shocks. Key attributes of resilience that I looked for in any organization or system were diversity, efficiency, redundancy and contingency options. For the power sector, this means technology diversity and geographic diversity in how and where we produce power, and efficiency of power conversion, transmission, and distribution, and how we use power. Also, redundancy is important, in the form of back-up generation capacity, ancillary services, and strong grid interconnection. If I were creating legislation, I would embed all three of those principles – diversity, efficiency, and redundancy – in electricity system policies. I would focus on the ultimate goal, namely very low or zero emissions outcomes, rather than specific technology targets. Loo: We should look at a diverse portfolio of energy sources in decarbonizing the power sector. Because solar and wind are intermittent and variable nature, relying completely on them to supply our energy needs will require substantive storage capacity (I’ve seen estimates that put this power capacity at three to eight times peak demand), including those that can be dispatched hourly, diurnally, and seasonally. This scenario would inadvertently result in poorly utilized but capital-intensive assets in wind, solar, and storage. On the other hand, when nuclear and large-scale hydro are also part of the energy mix, these energy sources can provide base-load power that complement and reduce the volatility of intermittent variable energy sources. 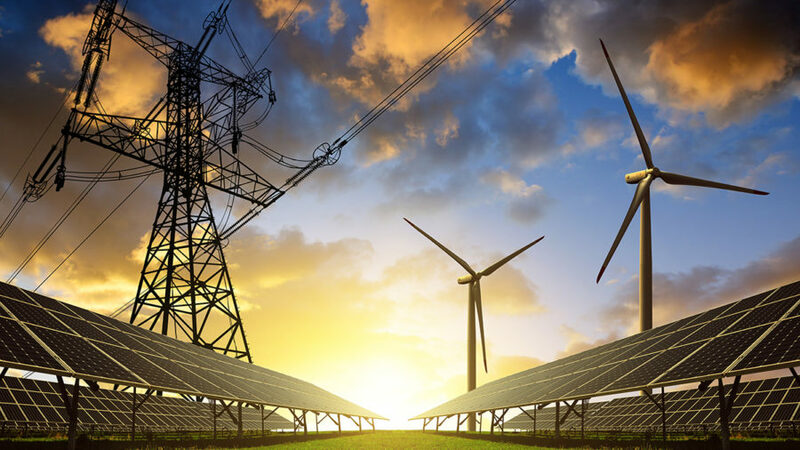 The diversification of low-carbon energy sources will thus make power generation more commensurate with power demand, allowing power-generation assets to be deployed more productively and economically. In crafting any energy policy, one needs to consider the so-called energy trilemma and properly triangulate between energy security, cost, and impact on the environment. Summary: The Green New Deal is a broad resolution, not specific proposed legislation, that has brought climate change into the spotlight in media outlets and among many groups. Any legislation that is proposed regarding the electric sector should prioritize resiliency, diversity, and multiple low-carbon power sources (not exclusively renewable sources) and should acknowledge the significant research, political leadership, capital investment, and changes to social and behavioural norms that must accompany the legislation. Learn more about Greig’s background and tenure as an inaugural visiting fellow. Watch a lecture by Greig on Rapid Switch. Hear from Lynn Loo on her career on the ‘She Roars’ podcast. Andlinger Center Speaks is a Q&A series with experts in energy and the environment on current trends and topics.